I feel like I haven't done an outfit post in SO long. Up until recently, the weather hasn't been 'spring-like' at all, and so I've literally been living in jumpers and leggings. Over the past few weeks, however, spring has finally sprung in the UK and so I've been digging out my spring/summer wardrobe as well as purchasing a few bits and bobs for the new season. Bomber jackets are everywhere right now, and they are totally a trend I can get on board with. Of course, I opted for the ultra pretty floral version, which is ideal for making these rather masculine jackets a touch more feminine (plus, you guys know I just love florals!). 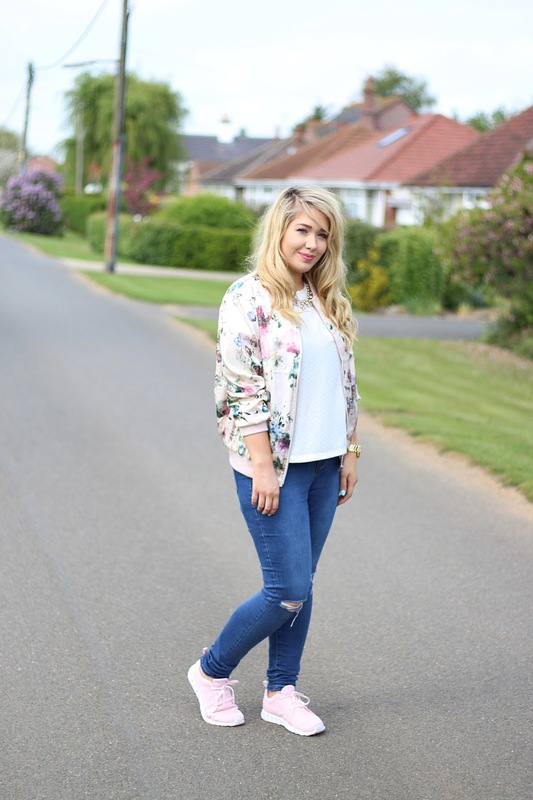 As soon as I saw this floral bomber jacket on the New Look website I had to have it, and I think it looks a lot more expensive than it was. I decided to team it with a simple white tee from Primark, my trusty ripped skinny jeans from George and my brand new Puma trainers. 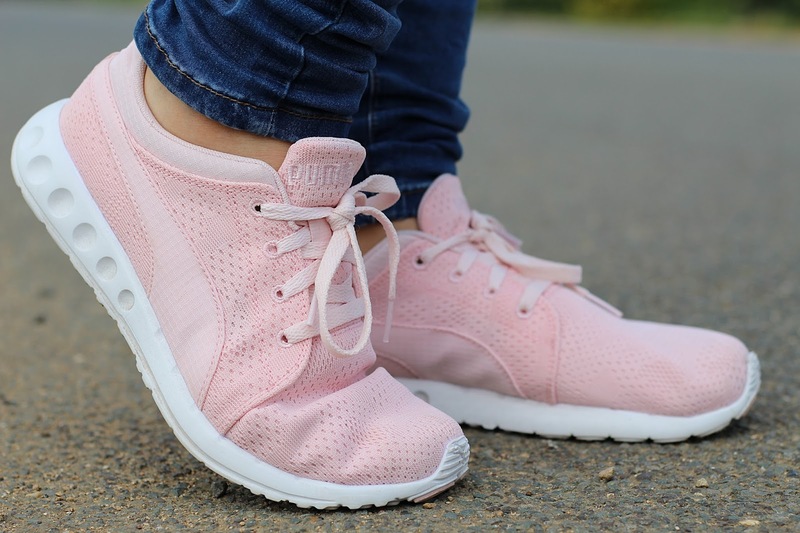 I absolutely love the whole 'trainers and jeans' thing that's oh-so-fashionable at the moment, and after looking for a pair of 'wow' trainers for a while I stumbled across these and fell in love. They are so comfy and the perfect peachy pink colour, which just happens to go perfectly with the bomber jacket - it's like it was meant to be! Finally, I decided to finish the accessories off with my trusty Primark statement necklace and another new addition - my gorgeous Daisy Dixon watch. 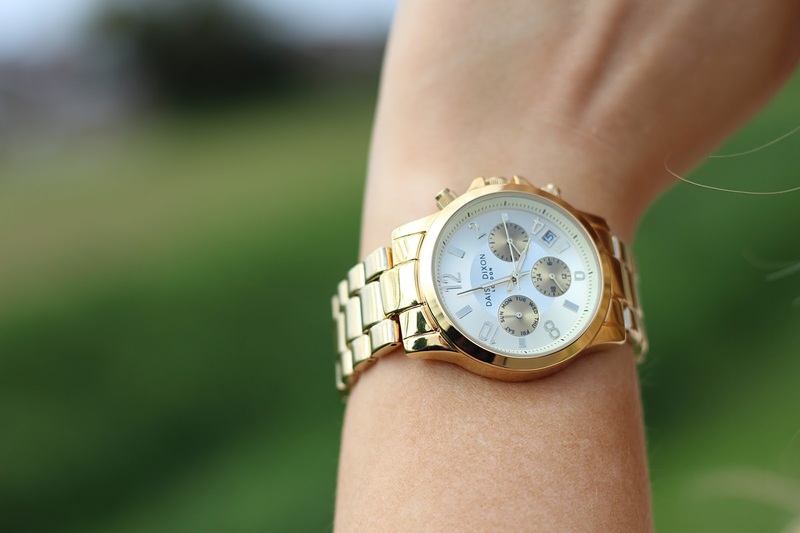 The Cara Multidial Watch is the most perfect alternative to Michael Kors' offering at a fraction of the price - it screams luxury and looks seriously amazing on - I never want to take it off! I decided to opt for yellow gold as opposed to rose as I already have a rose gold watch and wanted to try something a bit different - and I'm so glad I did. It also comes in silver and rose gold, and I love how it has the date and the day of the week on there too! I absolutely love this outfit and feel as though this jeans and trainers combo' is going to be a staple in my wardrobe for spring. What trends are you loving at the moment?